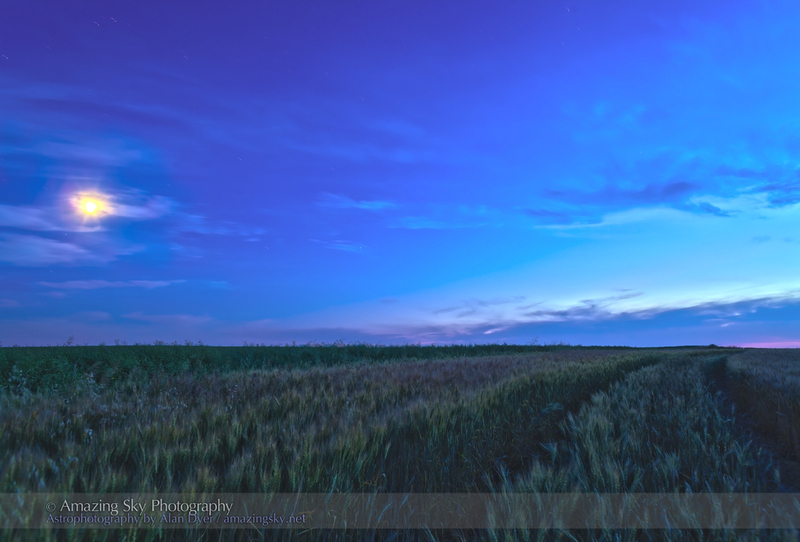 The waxing Moon shines above a ripening field of wheat on a prairie August evening. A track winds off through the wheat field toward the western twilight sky, while a waxing Moon shines in the south. This was the scene tonight just down the county road where I live, on a warm August night on the Canadian Prairies. For this shot, I assembled a high dynamic range set from eight exposures taken over a range of 8 f-stops, to compress the wide range of brightness into the one photo. Even so, the Moon remains overexposed. 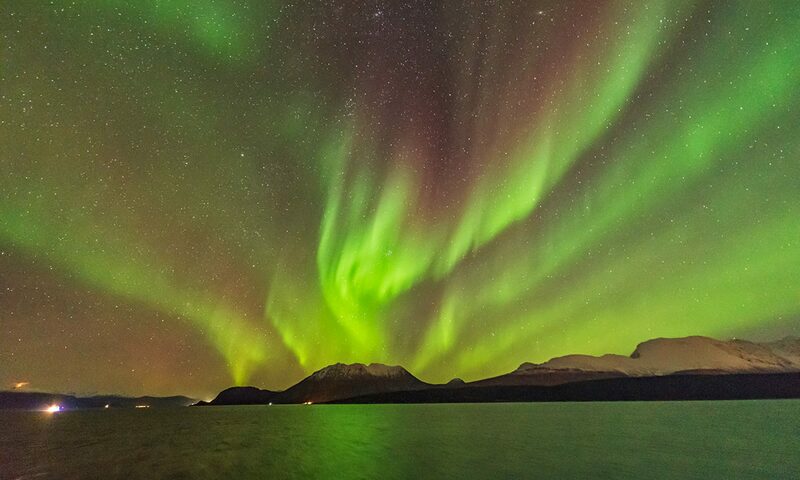 But I like shooting these scenes in deep twilight for more saturated colours and for some stars in the sky.